I attended a very informative and engaging presentation at RSA Conference 2016 led by Wade Baker, VP Strategy and Risk Analytics at ThreatConnect and former lead for Verizon’s annual Data Breach Investigations Report (DBIR). 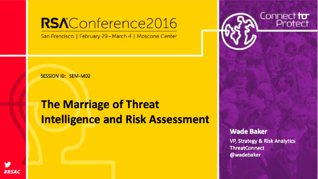 The title of his session was "The Marriage of Threat Intelligence and Risk Assessment". In his presentation, he explored some fundamental questions such as: What is the relationship between threat intelligence and risk management? Many treat them as separate disciplines, but is that the way it should be? This presentation makes the case that threat intelligence isn’t just tracking bad guys and bad things. 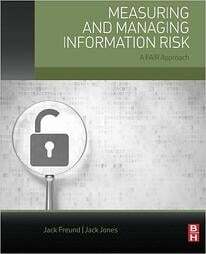 It plays a critical role informing risk-based decision making. The attached slides shared by RSA Conference at the end of the session explore what that role is and how to bridge these functions in your organization.